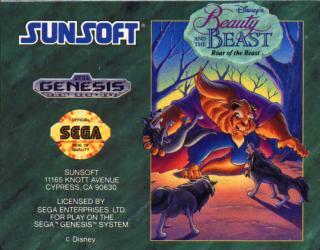 1 Level Select At the second title screen do the following on controller one: UP, RIGHT, A, B, A, DOWN, LEFT, A, DOWN, B, UP, B B, and A.
classic fairy tale Beauty and the Beast. don't care for either one. 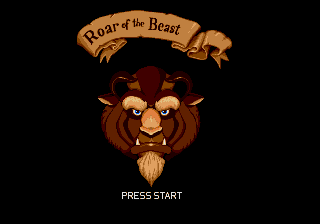 This action game looks quite nice and fun to play, but it also looks very rough and tumble. 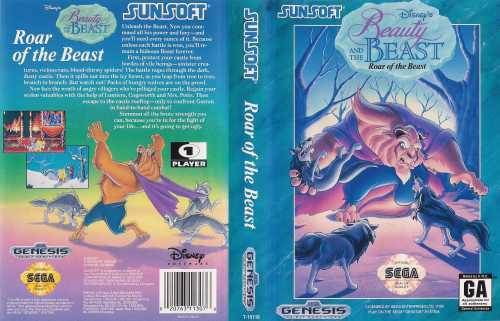 Disney Software sure does quite a good job making video games based on the Disney films. 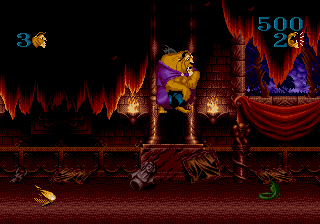 I give this game a 4 out of 5.